The following personnel await confirmation, or otherwise, of Commando service. Click on their names for more information. 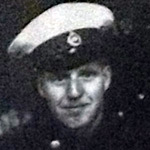 Marine Ronald Altringham died during operations at Lake Comacchio, Italy. Marine Charles Andrews died along with the rest of 'T' Company 40RM Commando, when the ship they were on board, HMS Fidelity, was torpedoed and sunk. Marine William Appleby died along with the rest of 'T' Company 40RM Commando, when the ship they were on board, HMS Fidelity, was torpedoed and sunk. Sergeant Major James Bain died during operations at Sarande, Albania. Marine William Barrington died in Italy. At the time of his death his Commando were engaged in operations at Termoli. Marine Cyril Basham died along with the rest of 'T' Company 40RM Commando, when the ship they were on board, HMS Fidelity, was torpedoed and sunk. Marine George Bates died during operations on the enemy held island of Brac, Yugoslavia. Sergeant Jack Beesley died during operations at Dieppe. Marine Arthur Bishop died during operations in Sicily whilst aboard the HMS Queen Emma during an enemy air attack on the vessel. Corporal Albert Blake died of wounds in Italy. Marine John Bluck died during operations at Anzio. Marine Percy Bone died during operations on the enemy held island of Brac, Yugoslavia. Marine Geoffrey Boothroyd died along with the rest of 'T' Company 40RM Commando, when the ship they were on board, HMS Fidelity, was torpedoed and sunk. Marine William Bradley died along with the rest of 'T' Company 40RM Commando, when the ship they were on board, HMS Fidelity, was torpedoed and sunk. Marine Alexander Bremner died during operations at Lake Comacchio. Marine Jack Brown died during operations at Anzio. Marine Stephen Brown died of wounds in North Africa. He was originally buried in Borgel Cemetery (Military Plot), but was re buried at Medjez-el-Bab Cemetery on August 17, 1944. Marine Robert Brownbridge died along with the rest of 'T' Company 40RM Commando, when the ship they were on board, HMS Fidelity, was torpedoed and sunk. In 1940 he received a MiD " for courage and devotion to duty during the withdrawals from Boulogne and Calais." London Gazettes Supp. 34941, page 5441. Marine William Bryce died during operations on the Dalmatian Islands. The Naval history website record him as dying of wounds. 7 days before his death his Commando were engaged in Operation Flounced, an attack on the enemy held island of Brac. Marine Henry Burfitt died during operations at Termoli. Marine Leslie Bustard died during operations at Lake Comacchio. Marine Arthur Callow died during operations at Dieppe. Lance Corporal Edward Capes died in Italy. Marine John Catterall died during operations at Dieppe. Marine Charles Chapman died along with the rest of 'T' Company 40RM Commando, when the ship they were on board, HMS Fidelity, was torpedoed and sunk. Lieutenant Richard Chiverall died during operations in Italy. At the time of his death his Commando were engaged in Operation Ferdy at Vibo Valentia, known at the time as Porto San Venere. 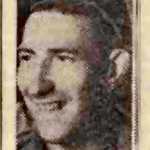 Lance Corporal Gordon Colby died during operations at Lake Comacchio. Captain Alan Comyn died during operations at Dieppe. Marine Arthur Coomber died during operations at Lake Comacchio, Italy. Lieutenant Brian Cooper died during operations at Termoli, Italy. Marine Herbert Cope died in Italy. Corporal James Corcoran died during operations at Lake Comacchio, Italy. Colour Sergeant Arthur Cornish died during operations in Sicily. Lieutenant Leonard Cross died during operations on the enemy held island of Brac, Yugoslavia. Marine Albert Day died during operations in Italy. At the time of his death his Commando were engaged in operations to cross the River Garigliano. Marine Reginald Day died during operations at Lake Comacchio, Italy. Marine Robert Denmark died during operations in Sicily. He is buried in a collective grave with Mnes. Albert Wise [more....], Ernest William Porter [more....], and Frank Spencer [more....], all from 40RM Commando. Colour Sergeant Paul DiMarco died during operations at Lake Comacchio. Corporal David Dixon died along with the rest of 'T' Company 40RM Commando, when the ship they were on board, HMS Fidelity, was torpedoed and sunk. Marine Harry Dowson died during operations in Sicily. Corporal Alfred Duerden died during operations at Dieppe. Lieutenant Charles Dutton died during operations on the enemy held island of Brac, Yugoslavia. His brother Lieutenant Derek Alan Dutton, No 6 Commando, also died in service 14 days later. Marine Maurice Edwards died along with the rest of 'T' Company 40RM Commando, when the ship they were on board, HMS Fidelity, was torpedoed and sunk. Captain Michael Ephraums MC died during operations at Termoli, Italy. He had previously been awarded the M.C. for gallant and distinguished service whilst commander of 'A' troop at the Pachino Peninsula on the 10th July 1943 . London Gazettes Supp. 36229; Page: 4812. Marine George Evans died of wounds inflicted during operations in Italy. Corporal Henry Everall died during operations at Dieppe. Lance Corporal Robert Fallas died during operations in Sicily whilst aboard the HMS Queen Emma during an enemy air attack on the vessel. 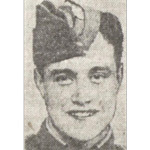 Marine Maurice Fantham died in Italy on the 13th October 1943 of wounds received on the 10th October. Marine Robert Farrell died along with the rest of 'T' Company 40RM Commando, when the ship they were on board, HMS Fidelity, was torpedoed and sunk. Corporal James Fisher died during operations in Italy. Marine George Fisk died along with the rest of 'T' Company 40RM Commando, when the ship they were on board, HMS Fidelity, was torpedoed and sunk. Lance Corporal Ronald Foster died during operations at Lake Comacchio, Italy. Marine Leslie Franklin died during operations in Sicily. His cause of death is recorded as illness on the Naval History website. Marine Donald Gee died during operations on the enemy held island of Brac, Yugoslavia. Marine Frederick Goodyer-Kettley died along with the rest of 'T' Company 40RM Commando, when the ship they were on board, HMS Fidelity, was torpedoed and sunk. Marine Eric Gotts died during operations at Dieppe. Captain Harry Grant-Dalton died along with the rest of 'T' Company 40RM Commando, when the ship they were on board, HMS Fidelity, was torpedoed and sunk. Marine Thomas Grey died during operations in Italy. The exact circumstances of the death of Marine Harry Guinan are not known to this archive. Marine Robert Hadfield died in Italy. Marine Edward Hamstead died during operations at Lake Comacchio, Italy. Lance Corporal Leslie Harvey died during operations on the enemy held island of Brac, Yugoslavia. Colour Sergeant William Harvey died during operations at Lake Comacchio, Italy. Colour Sergeant Frederick Harwood died during operations at Dieppe. Lance Corporal Frank Hastings died during operations in Italy. Marine Robert Hays died during operations at Lake Comacchio, Italy. Corporal Albert Heath died during operations at Dieppe. Marine Richard Hebden died along with the rest of 'T' Company 40RM Commando, when the ship they were on board, HMS Fidelity, was torpedoed and sunk. Sergeant Alfred Henderson died along with the rest of 'T' Company 40RM Commando, when the ship they were on board, HMS Fidelity, was torpedoed and sunk. Marine Alexander Herd died along with the rest of 'T' Company 40RM Commando, when the ship they were on board, HMS Fidelity, was torpedoed and sunk. Corporal George Heryet died during operations in Italy. Marine William Hewson died along with the rest of 'T' Company 40RM Commando, when the ship they were on board, HMS Fidelity, was torpedoed and sunk. Marine Harry Hildreth died along with the rest of 'T' Company 40RM Commando, when the ship they were on board, HMS Fidelity, was torpedoed and sunk. Captain William Hiles died during operations at Sarande, Albania. Lieutenant Bertram Hill died during operations in the Dalmatian Islands. His death is reported on the Naval History website as being caused by an explosion. Sergeant Henry Hill died during operations at Lake Comacchio. He received his MiD for "gallant and distinguished service while operating with the Army in Italy." London Gazettes Supp. 36676, page 4010. Marine Reginald Hill died along with the rest of 'T' Company 40RM Commando, when the ship they were on board, HMS Fidelity, was torpedoed and sunk. Marine Victor Hobbs died during operations at Lake Commachio, Italy. In the beginning of 1945, at the end of the Italian campaign, we made our last break-through for the 8th Army. 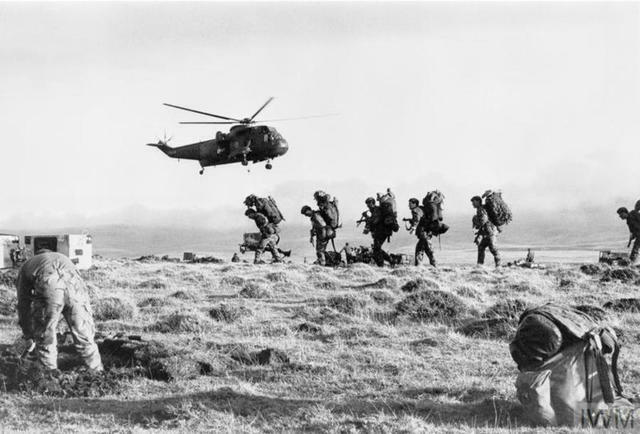 I was in Y troop of 40 Commando, Royal Marines, the leading troop in this action. We met some resistence by a canal near to what is now Lake Como. We were detailed to take two bridges and a power plant, which was our particular objective. This was along a spit of land alongside Lake Como. Marine Norman Hopper died during operations on the enemy held island of Brac, Yugoslavia. Marine Geoffrey Hubbard died during operations in Italy. At the time of his death his Commando were engaged in Operation Ferdy at Vibo Valentia, known then as Porto San Venere. Marine Harry Humphreys died along with the rest of 'T' Company 40RM Commando, when the ship they were on board, HMS Fidelity, was torpedoed and sunk. Marine Joseph Humphries was taken prisoner in the Dieppe Raid. He was one of a work party at Lamsdorf POW Camp who escaped and were shot. The headstone at his Grave states "Royal Marines" followed by "Commando". 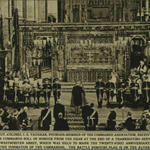 In March 1946 it was announced In London Gazettes that he had received a posthumous award of Mention in Despatches in recognition of gallant and distinguished services in the field. Marine John Hurst died during operations in Italy. Marine James Hutchinson died along with the rest of 'T' Company 40RM Commando, when the ship they were on board, HMS Fidelity [more....], was torpedoed and sunk. [Image] Mark (via CVA forum message). Marine Peter Jaggard died during operations in Italy. Lance Corporal George James died during operations at Lake Comacchio, Italy. Marine Russell James died along with the rest of 'T' Company 40RM Commando, when the ship they were on board, HMS Fidelity, was torpedoed and sunk. Marine Michael Jeffers died along with the rest of 'T' Company 40RM Commando, when the ship they were on board, HMS Fidelity, was torpedoed and sunk. Marine John Jones died during operations at Sicily. Marine John Kelly died along with the rest of 'T' Company 40RM Commando, when the ship they were on board, HMS Fidelity, was torpedoed and sunk. Marine Roy Kendrick died in Italy. The Naval History website records cause of death as an accident. The exact circumstances of the death of Marine Howard Kenney are not known to this archive. Marine Edward Klincke died during operations in Italy. Marine Reginald Lagor died along with the rest of 'T' Company 40RM Commando, when the ship they were on board, HMS Fidelity, was torpedoed and sunk. 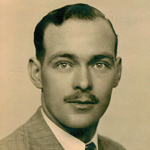 Lieutenant Ian Laidlaw died during operations on the enemy held island of Brac, Yugoslavia. Marine David Ledbury died along with the rest of 'T' Company 40RM Commando, when the ship they were on board, HMS Fidelity, was torpedoed and sunk. The full circumstances of the death of Marine Thomas Leonard are not known to this archive. At the time of his death his Commando were engaged in policing operations in liberated Corfu. Marine William Little died during operations at Lake Comacchio, Italy. Lieutenant Norman Longland died of illness during operations in Italy. "Lt N.Longland, a replacement for Lt Laidlaw who had been wounded at Termoli, contracted Hepatitis, from which he failed to recover." The Light Blue Lanyard (p77) author Jeffrey Charles Beadle. Marine John Mackinstry died during operations at Dieppe. Captain Michael Macpherson died during operations at Sarande, Albania. Company Sergeant Major George Malcolm MM died during operations in Italy to cross the River Garigliano. He had been awarded the MM for his gallantry on the day prior to his death . 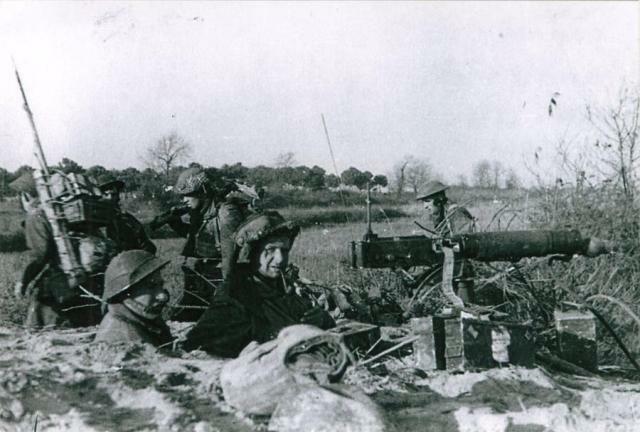 22nd January 1944 Crossing of the Garigliano. Lieutenant Colonel James Manners DSO, Officer Commanding 40RM Commando, died during operations on the enemy held island of Brac, Yugoslavia. Company Sergeant Major Frederick Mant died during operations in Italy. Awarded the MC for "gallant and distinguished services in operations leading to the capture of Termoli." Awarded a bar to his MC for "courage, leadership and resource in operations which led to the crossing of the Garigliano River in the face of determined opposition, from the enemy." Corporal Frederick Matthews died during operations in Italy. Marine Joseph May died during operations in Sicily whilst aboard the HMS Queen Emma during an enemy air attack on the vessel. Corporal Norman McDonald died during operations at Dieppe. Marine Ernest McDowell died along with the rest of 'T' Company 40RM Commando, when the ship they were on board, HMS Fidelity, was torpedoed and sunk. Marine Joseph McGee died along with the rest of 'T' Company 40RM Commando, when the ship they were on board, HMS Fidelity, was torpedoed and sunk. Marine Dennis McGlashon died during operations at Lake Comacchio. The full circumstances of the death of Corporal George McKenna are not known to this archive. At the time of his death his Commando were engaged in policing operations in liberated Corfu. He received a Mention in Despatches for "devotion to duty during operations in the Mediterranean theatre covering a period from 1st April to 10th September, 1944." London Gazettes Supp. 36979, page 1386. Corporal Reginald Metcalf died along with the rest of 'T' Company 40RM Commando, when the ship they were on board, HMS Fidelity, was torpedoed and sunk. Marine Frederick Milo died along with the rest of 'T' Company 40RM Commando, when the ship they were on board, HMS Fidelity, was torpedoed and sunk. LCpl. Mole, RAMC attached to 40RM Commando, was killed during operations at Lake Comacchio, Italy. Read more about MOLE, Geoffrey E.
Mne. Moody was killed during operations at Lake Comacchio. LCpl. Morgan was killed during operations at Dieppe. Mne. Mulvey was killed during operations in Sicily. Mne. Nash was killed during operations at Lake Comacchio. Marine Thomas Nash died along with the rest of 'T' Company 40RM Commando, when the ship they were on board, HMS Fidelity, was torpedoed and sunk. Mne. Nightingale was killed during operations at Termoli. Marine Sidney Nunn died during operations in Sicily whilst aboard the HMS Queen Emma during an enemy air attack on the vessel. Marine Edward O'Brien died along with the rest of 'T' Company 40RM Commando, when the ship they were on board, HMS Fidelity, was torpedoed and sunk. Marine Arthur Oborn died along with the rest of 'T' Company 40RM Commando, when the ship they were on board, HMS Fidelity, was torpedoed and sunk. Mne. Ockwell was killed during operations in Italy. At the time of his death his Commando were engaged in operations to cross the River Garigliano. Mne. Orman was killed during operations at Dieppe. Lieutenant Derrick Over was killed during operations at Dieppe. Mne. Pain was killed during operations at Lake Comacchio. Marine John Palmer died along with the rest of 'T' Company 40RM Commando, when the ship they were on board, HMS Fidelity, was torpedoed and sunk. Marine Howard Panter died along with the rest of 'T' Company 40RM Commando, when the ship they were on board, HMS Fidelity, was torpedoed and sunk. Marine Robert Parker died along with the rest of 'T' Company 40RM Commando, when the ship they were on board, HMS Fidelity, was torpedoed and sunk. Marine George Payne died along with the rest of 'T' Company 40RM Commando, when the ship they were on board, HMS Fidelity, was torpedoed and sunk. Lieutenant John Pegrum was killed during operations at Lake Comacchio. The Navy Lists show a Lieut. J.D.G. Pegrum on the roll of Officers of 42RM Commando in 1944. [view]. Marine Henry Pember died along with the rest of 'T' Company 40RM Commando, when the ship they were on board, HMS Fidelity, was torpedoed and sunk. Lieutenant Colonel Joseph Picton Phillipps, Officer Commanding 40RM Commando, was killed during operations at Dieppe. Mne. Pickering was killed during operations on the enemy held island of Brac, Yugoslavia. Marine Ronald Pincher died during operations at Sarande, Albania. Cpl. Pitt was killed during operations at Lake Comacchio. View some of his letters home here Letters of Cpl. Edward Pitt. Mne. Platt was killed during operations at Anzio. Mne. Porter was killed during operations in Sicily. He is buried in a collective grave with Mnes. 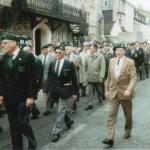 Robert McLelland Denmark, Albert Wise, and Frank Spencer, all from 40RM Commando. Major Norman Porter was killed during operations at Lake Comacchio, Italy. Mne. Powell was killed during operations at Dieppe. Marine George Pratt died during operations at Sarande, Albania. Mne. Rhodes was killed during operations at Dieppe. Marine James Richmond died along with the rest of 'T' Company 40RM Commando, when the ship they were on board, HMS Fidelity, was torpedoed and sunk. Mne. Riddle was killed during operations at Dieppe. Marine John Ross died during operations in Sicily whilst aboard the HMS Queen Emma during an enemy air attack on the vessel. Mne. Rutter was killed during operations at Lake Comacchio. Marine Hugh Salaman died along with the rest of 'T' Company 40RM Commando, when the ship they were on board, HMS Fidelity, was torpedoed and sunk. Marine James Salt died during operations at Sarande, Albania. Marine Reginald Saunders died along with the rest of 'T' Company 40RM Commando, when the ship they were on board, HMS Fidelity, was torpedoed and sunk. Sgt. 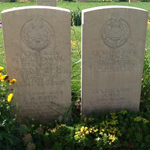 Scott was killed during operations at Lake Comacchio. Marine John Seabrook died along with the rest of 'T' Company 40RM Commando, when the ship they were on board, HMS Fidelity, was torpedoed and sunk. Marine Harry Shockley died along with the rest of 'T' Company 40RM Commando, when the ship they were on board, HMS Fidelity, was torpedoed and sunk. LCpl. Short was killed during operations on the enemy held island of Brac, Yugoslavia. Corporal Joseph Simmonds died along with the rest of 'T' Company 40RM Commando, when the ship they were on board, HMS Fidelity, was torpedoed and sunk. Mne. Simpson was killed during operations at Lake Comacchio. Mne. 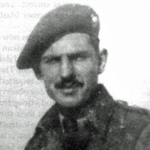 Ronald Singleton was killed during operations at Dieppe. He received a posthumous MiD in recognition of gallant and distinguished services during the attack. Mne. Spencer was killed during operations in Sicily. He is buried in a collective grave with Mnes. Robert McLelland Denmark, Ernest William Porter, and Albert Wise, all from 40RM Commando. Marine William St.Ange died during operations at Sarande, Albania. Captain John Stiebel died during operations in Sicily whilst aboard the HMS Queen Emma during an enemy air attack on the vessel. LCpl. Sutcliffe was killed during operations at Lake Comacchio. Sgt. Swan was killed during operations in Italy. At the time of his death his Commando were engaged in operations to cross the River Garigliano. Corporal Vernon Swatton D.S.M., died along with the rest of 'T' Company 40RM Commando, when the ship they were on board, HMS Fidelity, was torpedoed and sunk. In 1940 he was awarded the DSM whilst a Marine on HMS Nelson for "gallantry and devotion to duty during operations in Norway." London Gazettes Supp. 34961, page 5878. Mne. Swift was killed during operations at Lake Comacchio. Mne. Tack was killed during operations at Anzio. Mne. Tarrant was killed during operations on the enemy held island of Brac, Yugoslavia. Marine Ian Thomson died during operations in Sicily whilst aboard the HMS Queen Emma during an enemy air attack on the vessel. Corporal Ronald Thomson died along with the rest of 'T' Company 40RM Commando, when the ship they were on board, HMS Fidelity, was torpedoed and sunk. Cpl. Thorp was killed during operations at Dieppe. Cpl. Toes was killed during operations at Termoli. Lieutenant Walter Trask died along with the rest of 'T' Company 40RM Commando, when the ship they were on board, HMS Fidelity, was torpedoed and sunk. Extract from the Western Morning News Saturday 01 January 1949. TRASK, W.A.H. - In treasured and loving memory of our devoted only son, Wally, Lieut., Royal Marine Commandos, H.M.S. Fidelity, killed in action Jan 1. 1943, aged 19½ years. Remembering also his gallant Royal Marine comrades who died with him. Marine William Trump died along with the rest of 'T' Company 40RM Commando, when the ship they were on board, HMS Fidelity, was torpedoed and sunk. Marine Anthony Turner died during operations in Sicily whilst aboard the HMS Queen Emma during an enemy air attack on the vessel. Marine Roland Turner died along with the rest of 'T' Company 40RM Commando, when the ship they were on board, HMS Fidelity, was torpedoed and sunk. Mne. Turrell was killed during operations at Termoli. Marine Thomas Twidale died along with the rest of 'T' Company 40RM Commando, when the ship they were on board, HMS Fidelity, was torpedoed and sunk. Marine Jack Wakefield died along with the rest of 'T' Company 40RM Commando, when the ship they were on board, HMS Fidelity, was torpedoed and sunk. Mne. Walker was killed during operations at Dieppe. Mne. Ward was killed during the period that 40RM Commando were used to reinforce the infantry line held along the River Garigliano near Lorenzo. Marine Thomas Webster died during operations in Sicily whilst aboard the HMS Queen Emma during an enemy air attack on the vessel. Lieutenant Paul Wedgwood was killed during operations at Lake Comacchio, Italy. Cpl. White died in Italy. Mne. Wigmore was killed during operations at Dieppe. Marine Desmond Wilson died along with the rest of 'T' Company 40RM Commando, when the ship they were on board, HMS Fidelity, was torpedoed and sunk. Mne. Wise was killed during operations in Sicily. He is buried in a collective grave with Mnes. Robert McLelland Denmark, Ernest William Porter, and Frank Spencer, all from 40RM Commando. Marine Alexander Wood died during operations in Sicily whilst aboard the HMS Queen Emma during an enemy air attack on the vessel. Mne. Wood was killed during operations on the enemy held island of Brac, Yugoslavia. Cpl. Woodall was killed during operations at Lake Comacchio. Mne. Wrightson died of wounds.